Ex-media aide to former President Goodluck Jonathan, Reno Omokri, has described Minister of Transportation, Rotimi Amaechi, as ignorant. Omokri said this in reaction to Amaechi’s statement that former President Olusegun Obasanjo left $65billion in the excess crude account (ECA), but it was lavished during Jonathan’s administration. 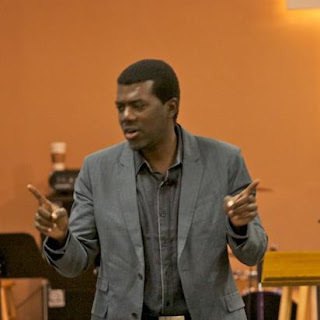 In a statement on Wednesday, Omokri said when Amaechi was chairman of the Nigerian governors’s forum (NGF), he and the All Progressives Congress (APC) members in the house of representatives then, secured an injunction restraining the Jonathan administration from operating the ECA. According to him, the Jonathan administration met $6.5billion in the ECA when it came to power in 2010 and not $65 billion. “Mr. Amaechi led the governors in taking the federal government to court. The Jonathan administration offered an out of court settlement with the governors in a deal that would have seen the federal government sharing some of the money and saving up the rest for Nigeria’s future but the governors rejected the offer,” the statement read. “Working in tandem with Mr. Amaechi and his supporters in the Nigerian governors’ forum, the then minority APC members of the house of representatives approached a federal high court on the 7th of February, 2014, for a perpetual injunction restraining the Jonathan administration from operating the ECA and to pay all the proceeds of that account into the Federation Account for sharing amongst the three tiers of government. “As a result of these actions, the Jonathan administration paid the 36 states of the federation a total of N2.92 trillion from the Excess Crude Account between 2011 and 2014. Using the value of the naira at that time that amount was just above $20 billion dollars. “It is very wrong for Rotimi Amaechi to keep blaming the Jonathan administration while at the same time enjoying the fruits of its labour like the Abuja-Kaduna railway and the national railway that was revived by the Jonathan government after years of being moribund. If they are drinking from Jonathan’s well, let them appreciate the man who dug the well,”‎ he added.